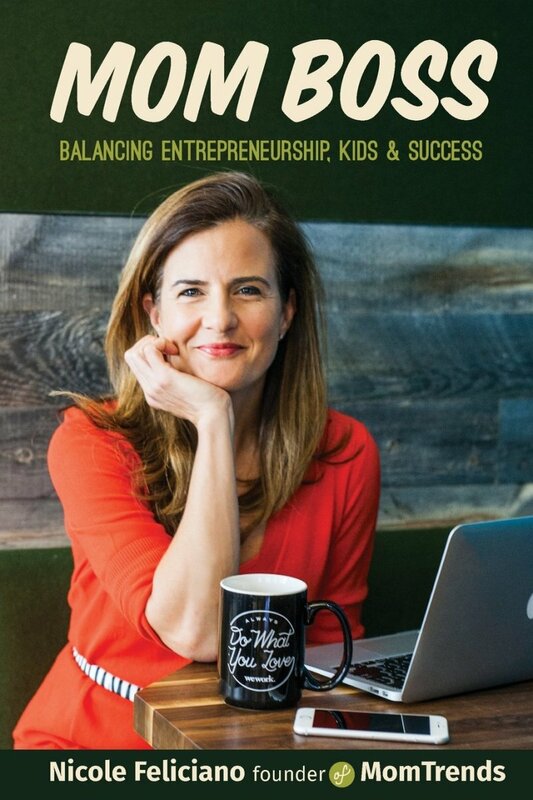 Hot off the presses, our friend and Momtrends founder, Nicole Feliciano, debuts her first book this week: Mom Boss: Balancing, Entrepreneurship, Kids & Success. Whether you&apos;re looking for start-up advice or merely considering reinventing your career, Mom Boss will inspire you to dream bigger. We love stories about female entrepreneurs. I&apos;ve known Nicole for years and it&apos;s been inspiring to watch the Momtrends brand grow. Getting a glimpse into her process and mindset is a real privilege. There is so much to learn from people who have made the journey and are willing to share what worked for them and what didn&apos;t. Mom Boss is filled with success stories and tips from Nicole and other moms who are successfully navigating the business world with family in tow. It will challenge you to ask tough questions of yourself and encourage you to channel your strengths into the right Mom Boss career.